Returning by popular demand for an extra special home-town performance, Europe’s most successful Elvis Presley tribute artist – Lee Memphis King, presents the ultimate tribute to The King – celebrating the epic career of the musical legend. In this latest production, Lee Memphis King portrays Elvis Presley at his peak celebrating the iconic ‘Vegas Years’ from 1969 – 1977 when Elvis would perform in Las Vegas and tour throughout the US and Canada – the definitive record of these performances are contained in the films ‘Elvis- That’s the Way It Is’, ‘Elvis On Tour’ and the ‘Aloha from Hawaii’ concert. 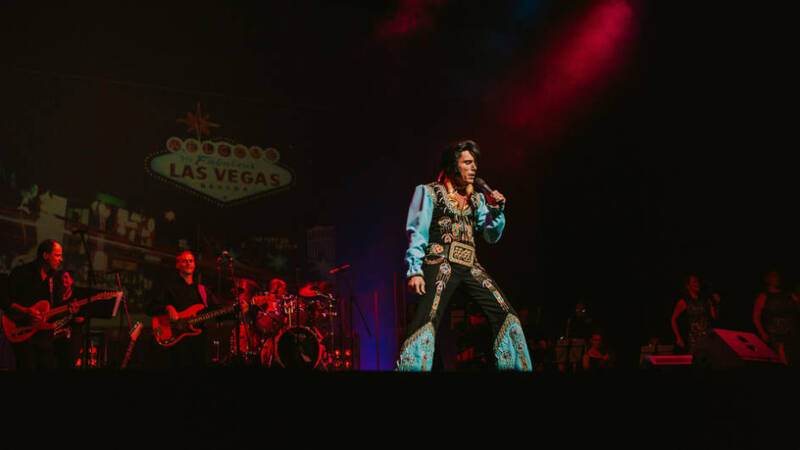 Resplendent in the most authentic costumes from Elvis’s performance, Lee brings the majesty of the voice and the electrifying power of Elvis’s performance back to life. Accompanied throughout by his world class band and backing singers along with the Brass Monkeys and the Bridgewater Strings. This latest production also features large screen projection making it the largest Elvis show to tour UK theatres.